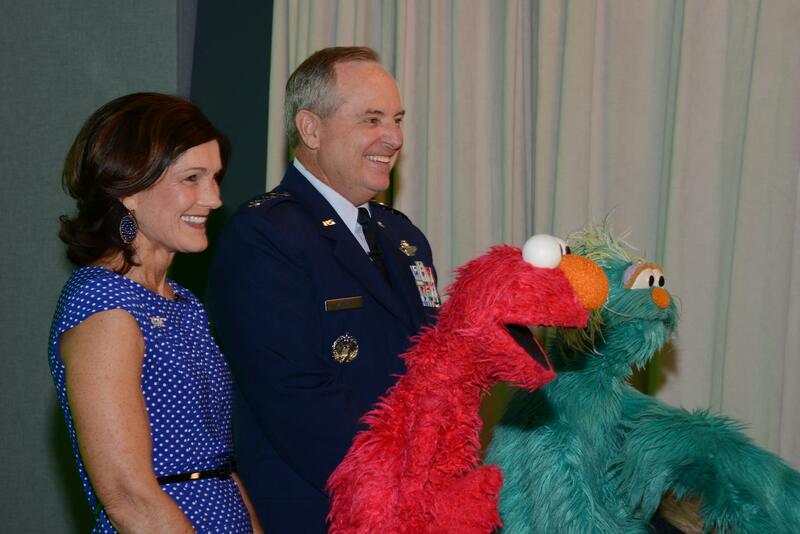 This photo from Air Force Chief of Staff Gen. Mark Welsh’s Facebook page shows the chief and his wife filming videos for kids with the beloved Sesame Street puppets Elmo and Rosita. Elmo has been making the rounds lately. Last night, he hobnobbed with Jimmy Fallon on “The Tonight Show.” And on Monday, he met with the Air Force’s top general. Air Force spokesman Lt. Col. Allen Herritage said Elmo and his pal Rosita were kind enough to help the general and his wife film a couple of video messages aimed at Air Force kids. The first was thanking them for supporting their Air Force parents. The second was directed to children of wounded airmen describing “how important their support is to these heroes,” Herritage said in an email. The videos aren’t up just yet, but will be used for family events and on social media. So stay tuned.